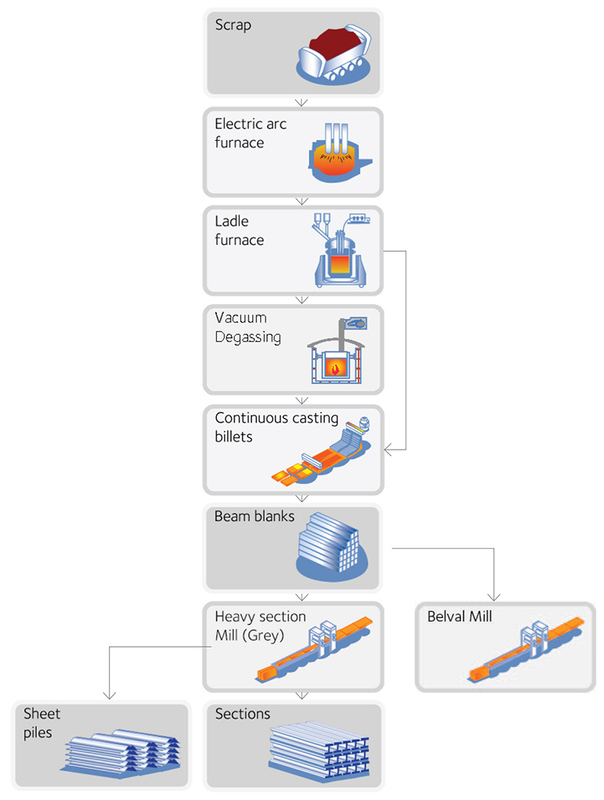 The production site of Differdange consists of an electric arc furnace, a ladle furnace, a vacuum degasser and a continuous caster. The semis (beam blanks) for Belval rolling mill 2 (sheet piles) is mainly produced at Differdange melt shop. Its heavy section mill (Grey mill) produces heavy sections, including jumbo sections as well as sheet piles.